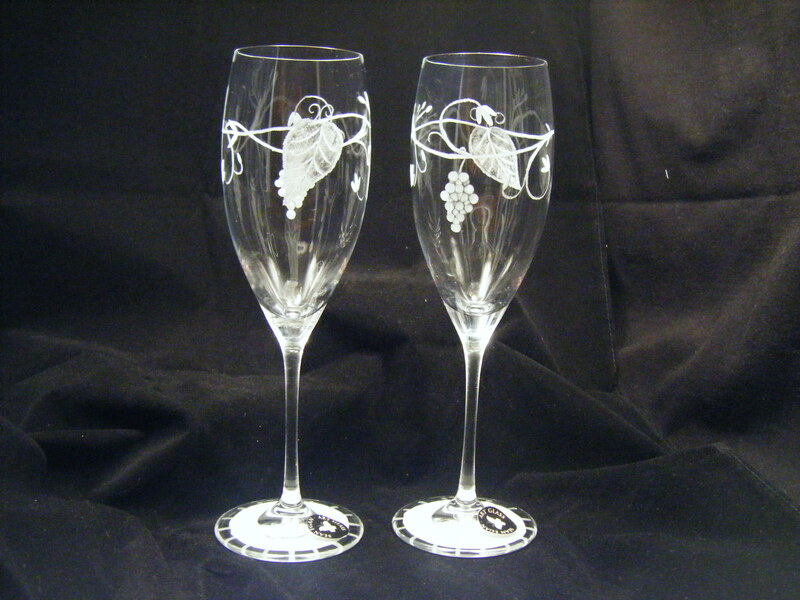 Description 9" champagne flutes with vine and grape design. Sold as a set of two. Personalised for any celebration at no extra cost.